White Paper phpLD theme is a very nice looking, fast loading theme. The guy behind the template, Michael at TastyPlacement, has really applied brains on this one. Not as much for the looks, but how he could make a difference to the template structure in general..
– Contact Us Page link and Submit page link has been nofollowed. – The designer avoided the default “Sort By PR | Hits | Alphabetical” thing. The reason behind this step is extremely valid and thoughtful. This thing avoids duplicate content problems. 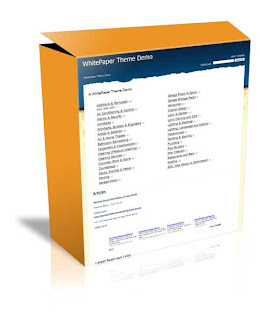 – The template is an Adsense ready template.